A tough loss against a good team. The Yankees dropped tonight’s game against the Nats 5-4 after not being able to hold an early 3-1 lead. The story of the game was Juan Soto, a 19-year old wunderkind who, if you didn’t notice before tonight, can hit an absolute heck out of baseball. It was only the 4th one-run loss for the Bronx Bombers this season. Oh well, can’t win’em all. Let’s recap this thing. Sonny Gray started the game by throwing 16 pitches to two hitters and getting neither out. Not great! Adam Eaton hit a ground-rule double and Trea Turner reached with an infield single to put runners on corners with Bryce Harper up. 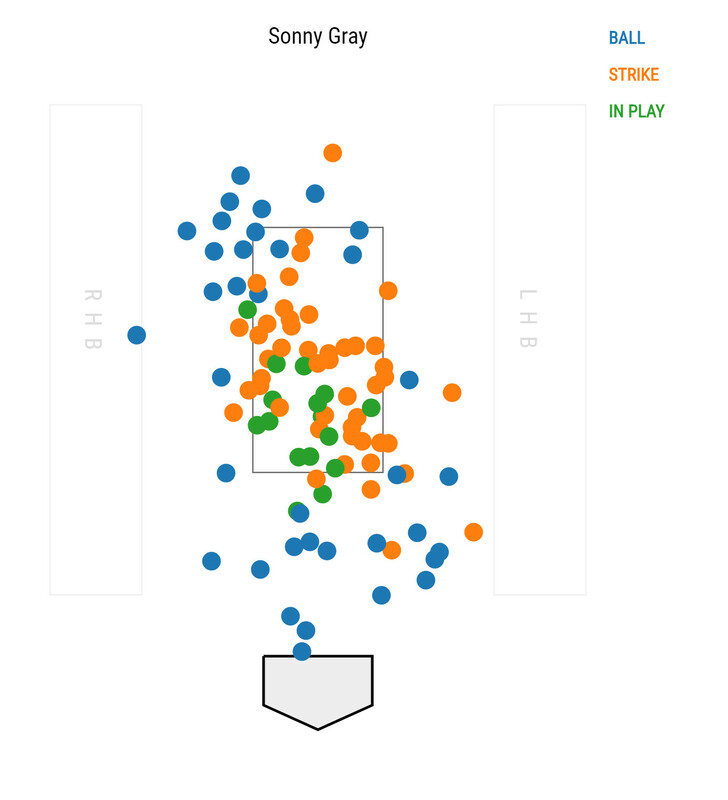 Gray did strike out Harper but by then, he had thrown a whopping 22 pitches. Anthony Rendon hit a sac fly to drive Eaton in and that was all the damage he allowed in the inning. The Yankees got a run back in 10 pitches. Brett Gardner singled to center, stole a base and reached third when Spencer Kieboom’s throw got past the second baseman. Aaron Judge promptly drove him in with a sac fly. Greg Bird, who was 5-for-40 entering tonight, gave the Yankees a go-ahead run in the 2nd with a solo HR to right. Erik Fedde hung a breaking ball up the zone and big league hitters don’t miss that, especially with Bird and his Yankee Stadium tailor-made swing. The Bronx Bombers added another in the third. 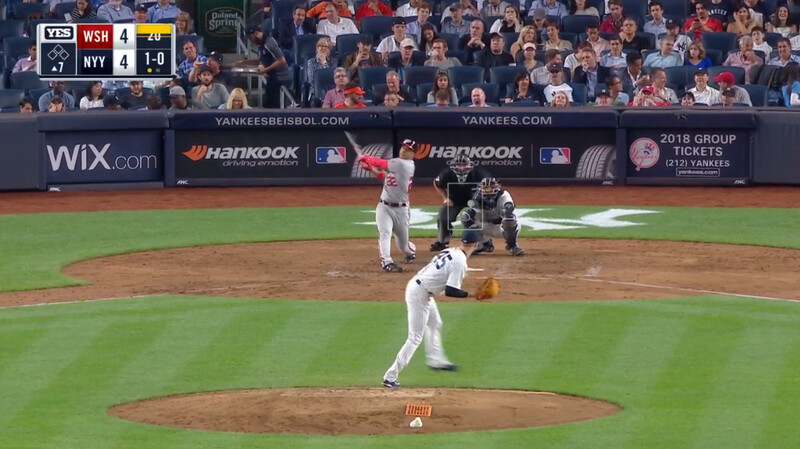 Judge hit a big double (right off the plexiglass by the visitor’s bullpen) with one out, advanced to third on Didi Gregorius ground out, and Giancarlo Stanton drove him in with an RBI single just off Rendon’s glove. 3-1 Yanks. That lead did not last long. In the fourth, Gray got the first two outs before allowing two baserunners via a Daniel Murphy walk and Matt Adams base hit. Enter Juan Soto. The youngster got a high-and-away Gray fastball and hit a towering fly ball that just kept carrying and carrying … and gone! 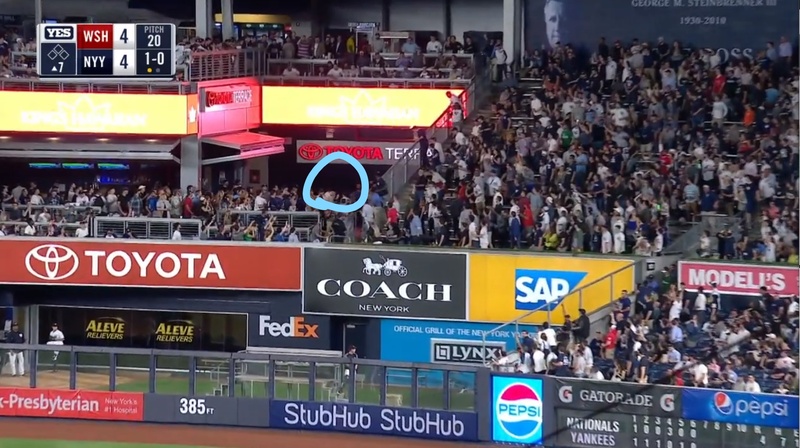 The Yankee Stadium dimensions might have helped, but for a 19-year old to hit a 45-degree launch angle home run way opposite field, that’s some special pop on the bat. Anyways, it was a bad news for the Yanks. 4-3 Nats. I thought it was … interesting Aaron Boone let Shreve work more than an inning. He’s been mostly limited to an inning’s worth of work (or less) this season. Prior to tonight, Shreve worked 18 out of 22 outings for an inning or less. In 3 out of 4 instances he went more than an inning, the Yankees were already on the losing side and the one they didn’t was during an extra inning game against Baltimore. In a tie game against a team that can do some damage, I don’t know if I would have let a reliever with a 1.74 HR/9 IP and 4.55 FIP that much leash. The Yankees had a major opportunity to tie the game up in the eighth. Against Ryan Madson, who’s been in baseball as long as I’ve followed the MLB, Gregorius walked and Stanton singled to put two runners on with one out. That threat was dispelled relatively cheaply — Aaron Hicks struck out and Miguel Andujar flew out to end the frame. The Yankees followed it up with a quiet 1-2-3 inning against Sean Doolittle in the 9th to drop the ballgame. Alright so Gray wasn’t that great today. He’s been better lately, but the outing will not do him any favors on the “Gray can’t pitch in Bronx” narrative. He went 5 IP, 7 H, 4 H, 2 BB, 1 K and 1 HR. Granted, the Nats lineup is pretty good but not being able to locate consistently in the zone cost him some pitch counts. Let’s make some contrasts. 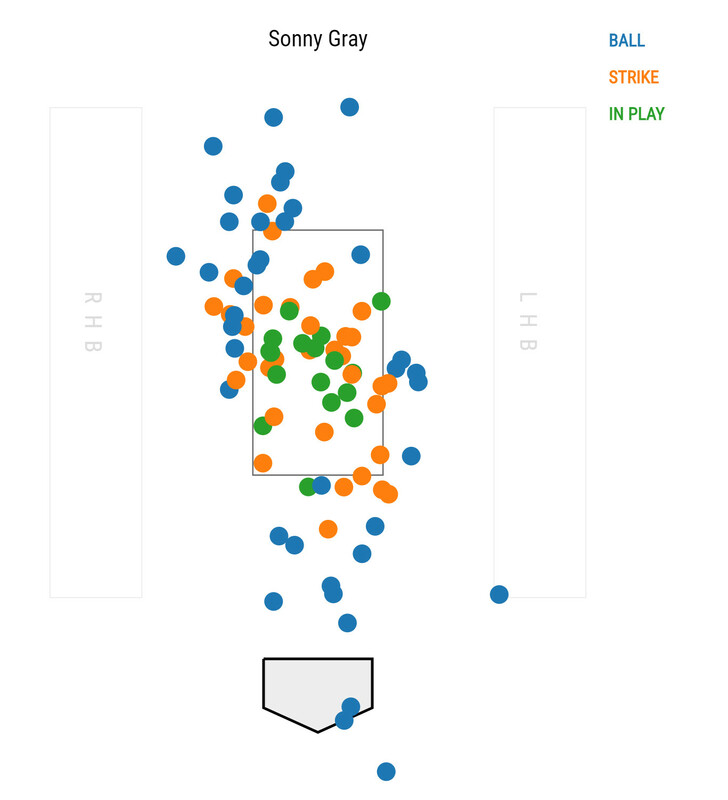 Here’s a pitching map from June 6 outing when Gray threw 8 scoreless vs. Jays. Even with simple eye test, you can see that there are noticeably more dots concentrated in the zone when he pitched well. Not as much tonight. It’s entirely possible that Gray was more conscious of the Nats hitters and/or being at the Yankee Stadium. Or he was just having an off-night with his command. Bottom line is, there’s quite a contrast between when he has a good or bad outing. Some positive stuff: Bird went 2-for-4 tonight with a double and homer. Stanton had a three hit game as well! Gregorius went 0-for-2 but he walked twice. Those are the hitters that reached base more than once tonight. Hicks, Andujar and Romine, who are capable of better nights, went 0-for-12 combined. Here’s tonight’s box score, video highlights, updated standings and WPA. The Red Sox won tonight so the Yanks fall a game behind them in the AL East standings. 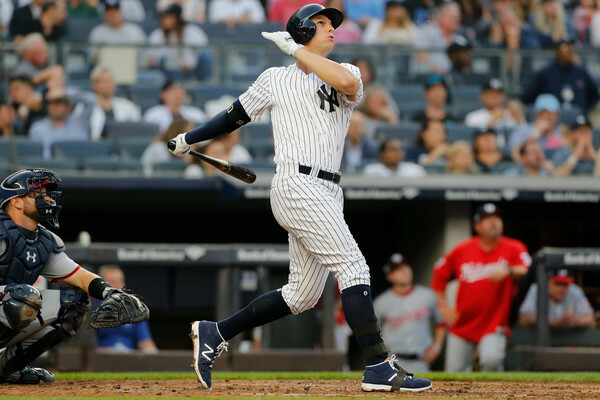 The Yankees host the Tampa Bay Rays for a four-game series. Domingo German will be on the hill and the Rays will send out their ace Blake Snell, who’s having a heck of a season (8-3, 2.30 ERA/3.31 FIP).